Kalihi Palama Hawaiian Civic Club members Betty Lau and Ka‘imo Muhlestein receive ho‘okupu for Queen Lili‘uokalani as Hawaiians mark the 100th anniversary of her passing, today, Nov. 11, 2017. This entry was posted in General on November 11, 2017 by Blaine Fergerstrom. 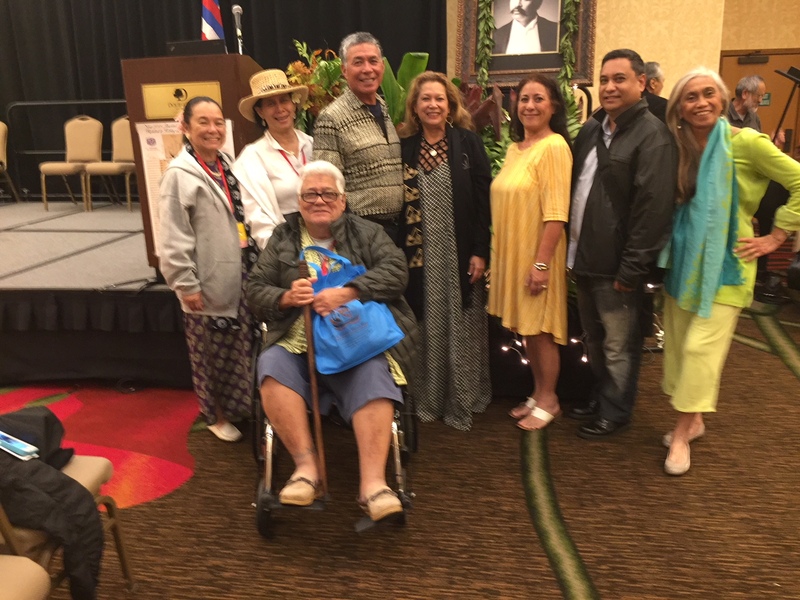 Kalihi Palama Hawaiian Civic Club members at 2017 Association of Hawaiian Civic Clubs convention in Seattle, WA. This entry was posted in General on November 3, 2017 by Blaine Fergerstrom.